Creative Darlington supported research and development for and the introduction of the whatsoninthenortheast.co.uk site which is managed by the Northern Echo. The site offers people an easy way of finding out what’s happening across the North East and North Yorkshire, and individual artists and organisations a free opportunity to promote their arts practice to large audiences free of charge by posting details of suitable events. 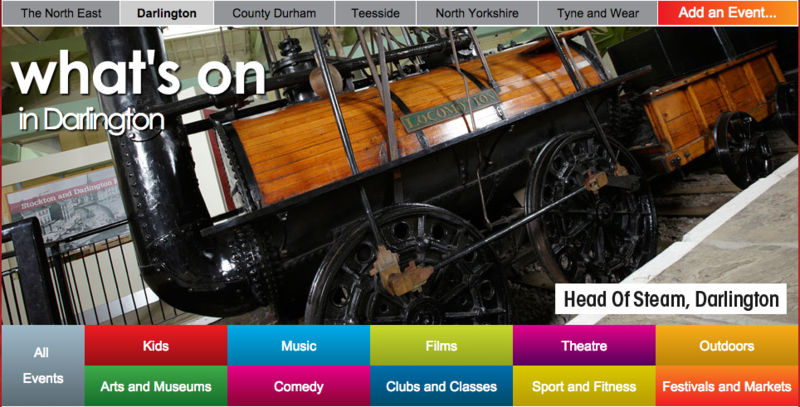 It covers all events from Kids, Arts and Museums, Music, Comedy, Film, Clubs and Classes, Theatre, Sports and Fitness, Outdoors and Festivals and Markets across the North East. The site can also be searched by specific areas including the North East, Darlington, County Durham, Teesside, North Yorkshire and Tyne and Wear. It has been supported by a number of organisations in addition to Creative Darlington, including Darlington Partnership, Distinct Darlington (the business improvement district) and the Northern Echo and is a great example of different sectors coming together to create something which benefits people and can be sustained commercially. Creative Darlington supported the development of an annual Darlington Arts Festival, held throughout May, led by Darlington for Culture. In 2013 and 2014 Creative Darlington allocated resources to support promotion of the festival and to support areas of the programme, including Darlington Jazz Festival, the Art Lending Library and Jabberwocky Market in 2014. Different venues across Darlington offer support and the festival promotes theatre, exhibitions, literature, musical performances, readings, film screenings, comedy nights and arts and crafts markets. It’s a great way of sharing the arts and of reaching new people. 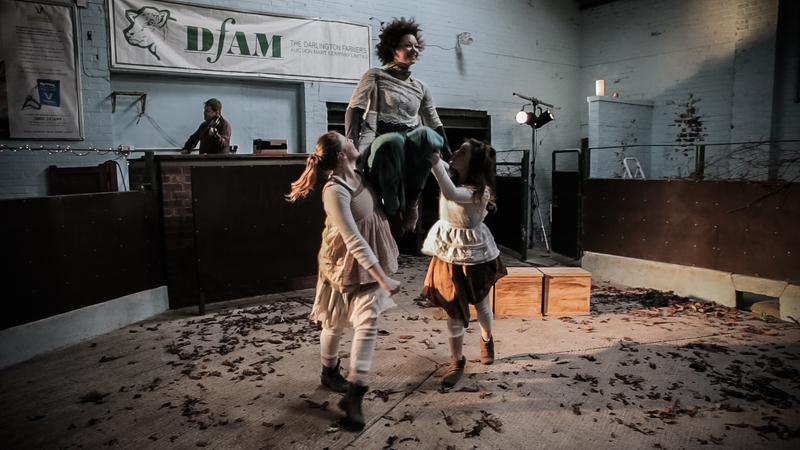 Jabberwocky Market is a festival of world-class small-scale theatre in venues around Darlington. Creative Darlington and Darlington Borough Council supported Festival of Thrift at Lingfield Point in Darlington from 2013 to 2015. 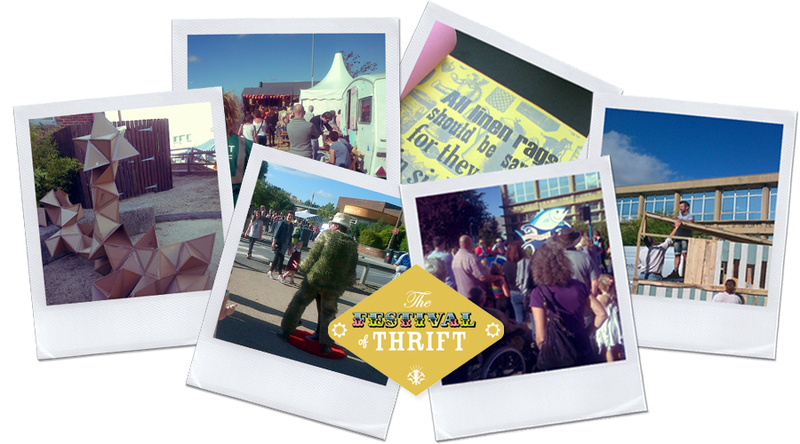 Festival of Thrift, ‘ a FREE fun celebration of everyday living with upcycling, recycling and finding the sassiness in sustainable living!’, attracted 27,000 visits in September 2013, 40,000 visits in 2014 and 45,000 visits in 2015. The Festival of Thrift was founded and is curated by John Orchard and Wayne and Gerardine Hemingway MBE with Stella Hall as the Festival Director. Our support helped Darlington artists, arts organisations and schools engage with the Festival of Thrift whilst in Darlington and the promotion of Darlington through the festival.